The featured image above is not from the Forest of Dean but is typical of the tramways/tramroads of the area. 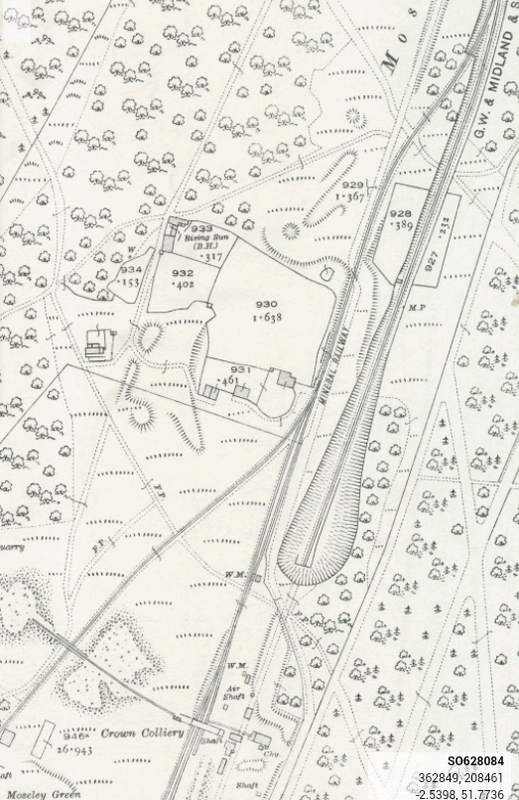 A map of railways in the Eastern half of the Forest of Dean in 1894 clearly shows a short stub end of tramroad at Moseley Green associated with three pits, Soles, Aimwell and New Engine. The Historic Environment Record Archive says that: “A number of earthworks associated with the Moseley Green branch line are visible on aerial photographs. After leaving the mineral loop the branch heads south running parallel with the main line before being taken south west by an embankment at SO 6320 0852. The embankment is approximately 80 metres long and ends at SO 6310 0844 at a cutting. The cutting can be traced for approximately 95 metres terminating at SO 6301 0834 near the Moseley Green New Engine Coal Pit.” All of this is visible in detail on the OS map below. On the map below, the blue line appears to be the route of the Birches/Moseley Green Tramroad. We walked a good length of that route on 27th September 2017. The pink route is the Moseley Green branch referred to in the notes above. 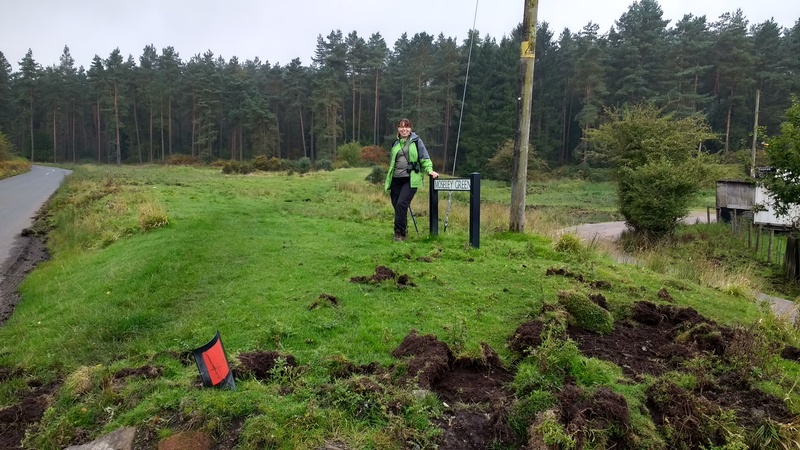 We also walked along the turquoise route on 27th September which has earthworks associated with tramroad. It runs parallel to and to the west of the Mineral Loop Line. That route is the line of the Kidnall’s Mill/Moseley Green Tramroad which was superseded by the Mineral Loop. The construction of the tramroad did not commence until 1841 and was not completed until 1844. The tramroad ran north from the approximate location of Tufts Junction on the Severn and Wye Joint Line, north through Phipps Bottom and then just to the west of the later Mineral Loop Line. A licence of 1843 authorised an extension to Foxes Bridge, but this was not completed, Foxes Bridge was unopened. A new line with easier curves was completed in 1856 from Pillowell to Tufts, however the superseded route from Whitecroft was repaired in 1866, as it was more direct for the Patent Fuel Co. there. A branch to New Fancy Colliery (SMR 5824) was made by the Park End Coal Co. in 1859. The Kidnall’s Mill branch was superseded by the Mineral Loop Line and it was abandoned in 1874. The Kidnall’s Mill branch passed under the Parkend to Yorkley road by a short tunnel just west of the railway tunnel, the keystone on the south side is marked 1842. Beyond, the route is covered by a colliery tip, a railway siding and then the roadway, to the junction with the Birches branch. Here the line forks to serve New Fancy (SMR 5701/16), the line to which was laid in 1859 and Wellington Colliery (this part of the line has been obliterated by the railway embankment). 1. Gloucestershire County Council: Historic Environment Record Archive…. Monument No. 5701. This entry was posted in Railways Blog on September 27, 2017 by rogerfarnworth.